Hai! This my bests friend Benny. Is time for his naps. 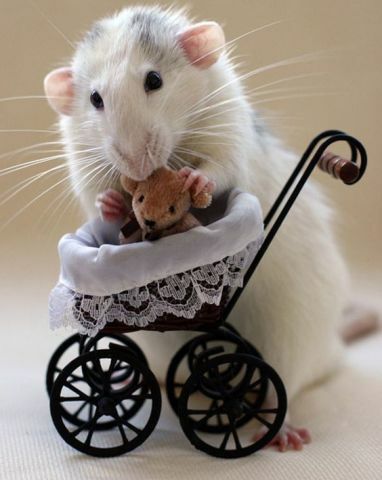 Mine human gave me this cutes little pram for hims to sleep in. Then I cans wheel hims around ther park. Ands by park I means ther bottom of mine cage.